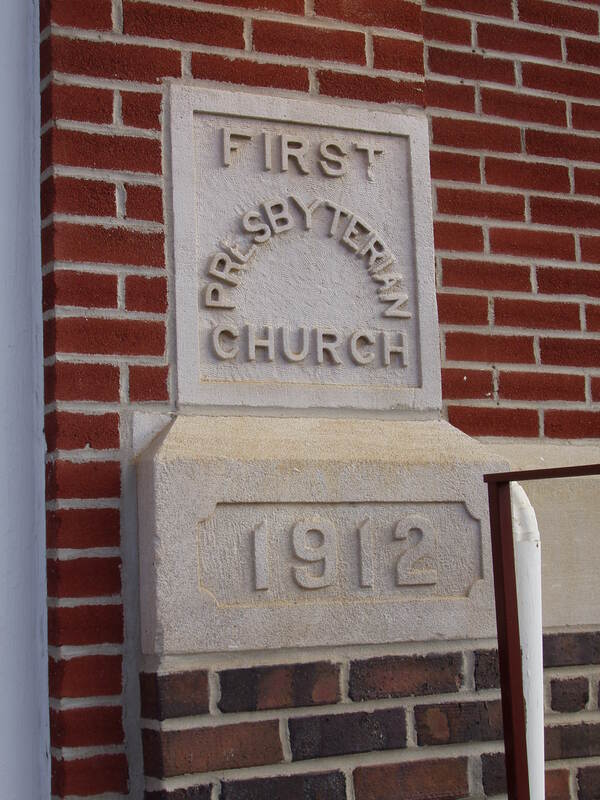 On May 9, 1875, a committee from the Des Moines Presbytery met with local people from Guthrie Center who were determined to organize the First Presbyterian Church. Beginning with four members and the organizing Pastor, for the next five years the little congregation struggled to survive. In 1882, with a new pastor, a church building was erected on the corner of Fourth and Prairie Streets. New building plans were begun in 1911 and in August 1912, the cornerstone of the new church building was put into place at this current location. Through the years, maintenance and improvements have been made possible by gifts from members and Memorial funds. Our church has played an active role in the life of the people in Guthrie Center, and finds itself today expanding that role in the community of Panora, in which many of our new members are residing. Our congregation added a new addition to the original building in 2001. The new addition includes a carport entrance, handicapped accessible restrooms, an elevator, additional classrooms, a nursery and a pastor's study. The addition makes both the upper and lower levels of our building handicapped accessible. We salute the many faithful men and women of the past for laying such a firm foundation on which our church can build on today.